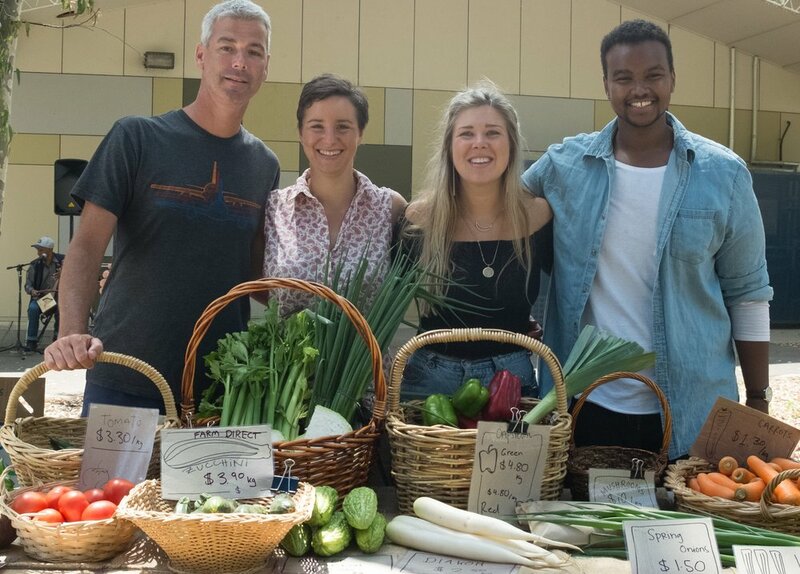 We improve access to fresh, affordable and nutritious produce by running weekly fruit and vegetables markets to cultivate healthy connected Victorian communities. Increasing Fresh food consumption impacts Positively on social, physical and emotional well-being. Have access to affordable, high quality, culturally appropriate fresh fruit and vegetables. All markets are stocked with the produce customers want - from Bitter Melon to Okra. We sell around $5000 worth of produce each week to customers from over 22 different nationalities. Our produce is 50% cheaper than surrounding outlets. Affordability and accessibility means that market goers can purchase more fruit and vegetable every week, increasing health and well-being for themselves and their families. Being part of the market, customers gain a sense of social inclusion - the market is a place to meet and make friends, share cooking tips and find out what else is happening in the community. We have a fantastic team of dedicated market managers who run the markets every week - rain, hail or shine - as well as a team of two behind the scenes. Our board of talented professionals from all walks of life volunteer their time to help guide the organisations' strategic direction. Your support is integral to running markets. If you can't make it down to any of our markets, but you still want to support us, then consider a weekly fruit and vegetables box from a Grocer Hub near you! Are you passionate about quality food and social justice? Are you looking to improve your job skills or contribute to something meaningful? As a not-for-profit social enterprise your contribution enables us to continue to expand and improve our impact - providing more healthy food for more communities.